I’ll line up at Aaron Franklin’s a thousand times to eat his brisket, but traveling through Georgia and the Carolinas along the Southern barbecue trail was truly unforgettable. Barbecue has humble beginnings. It’s essentially American, a meal for gatherings that has a diverse range of styles, techniques and influences. Tune in for Bizarre Foods: Southern Barbecue Trail Tuesday, February 7 at 9|8c on Travel Channel. 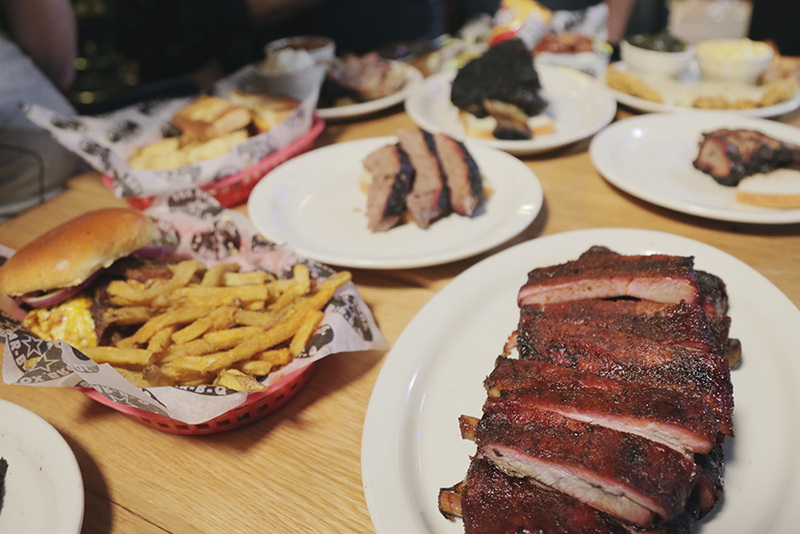 The barbecue spread at Fox Bros. Bar-B-Q in Atlanta. We started our journey in Atlanta at Fox Bros. Bar-B-Q. Run by twin brothers Justin and Jonathan Fox, this barbecue joint is lauded across the country for good reason. 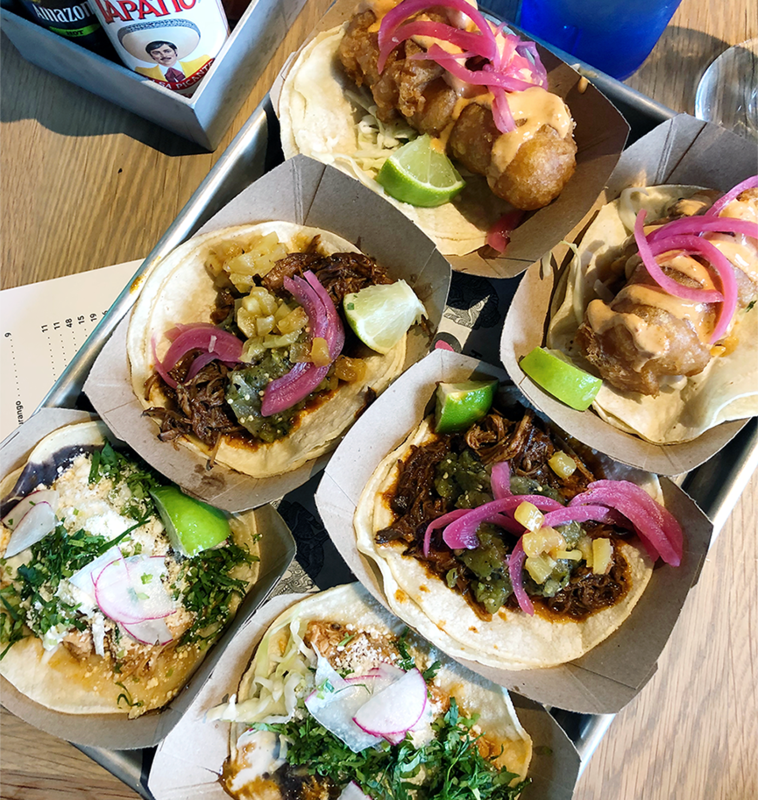 With a nod to their Texas roots, the menu reads like a greatest hits of iconic barbecue—smoked bologna sandwiches, Carolina-style pulled pork, beef ribs with crackling bark, Brunswick stew, beef brisket. They’ve mastered the balance of seasoning and smoke. With Elliott Moss at Buxton Hall BBQ. 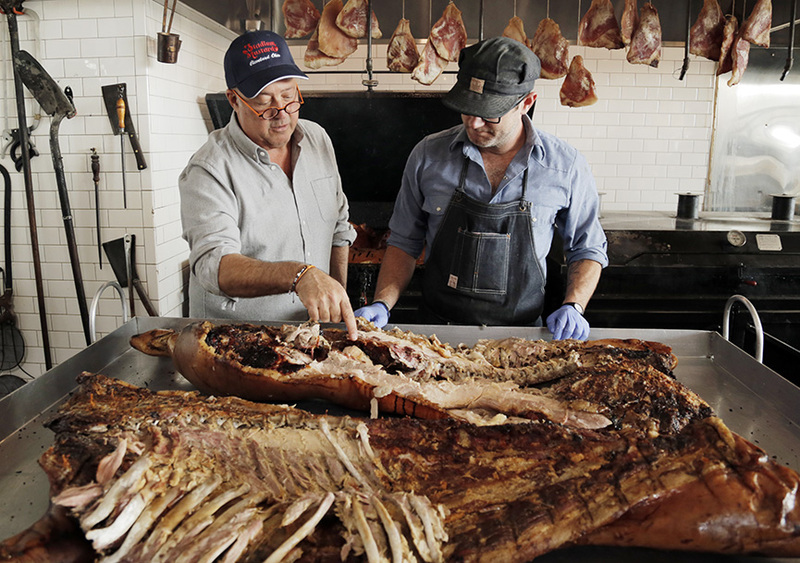 Chef Elliott Moss does barbecue his own way, smoking pasture-raised whole hogs over hardwood coals at his popular restaurant, Buxton Hall BBQ, in Asheville, North Carolina. After 18-plus hours in the smoker, and a good dousing of tangy homemade vinegar mop, his pulled pork is the best expression of the pig you can get. And nothing goes to waste—confit offal turns into an amazing version of hash, while hog fat is rendered down to make pie dough, to season the sides and fryer, they even use it to make soap. Dressing pork with Shealy’s mustard sauce. Barbecue in South Carolina is sauced a few different ways depending on where you are. 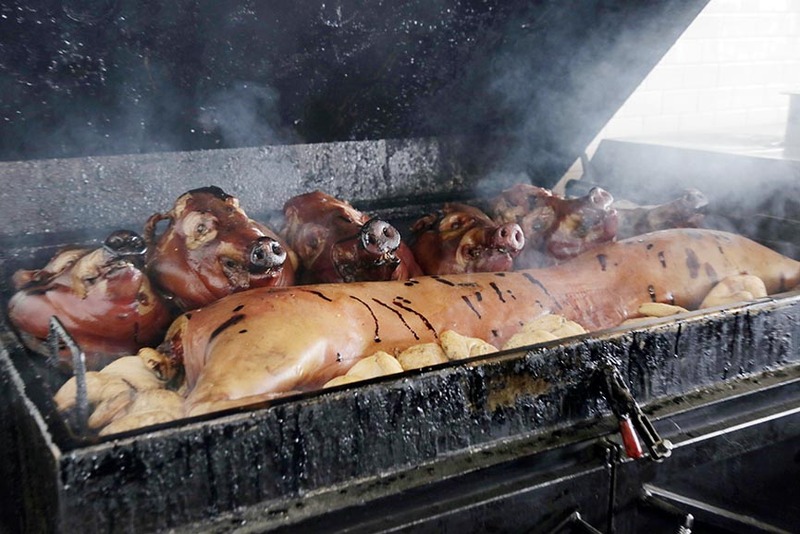 The swath of the barbecue trail running down the middle of South Carolina is lovingly referred to as the mustard belt, where whole hog pulled pork comes dressed with a tangy mustard sauce. 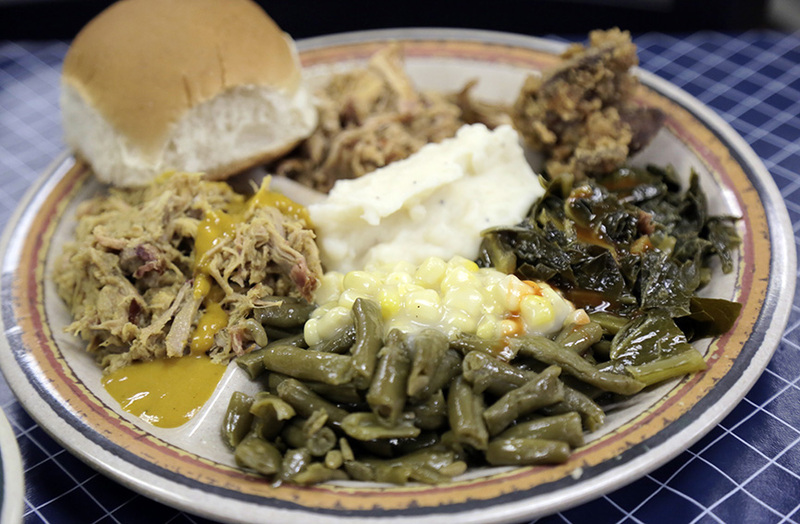 Located in Leesville, Shealy’s BBQ is a family-run institution that’s been serving their famed bottomless all-you-can-eat barbecue buffet since 1969. Alongside heaps of fried chicken, lima beans, creamed corn, collards and mac n’ cheese, you’ll find the secret to their success: pulled pork drenched in a sweet, acidic, spicy mustard sauce. 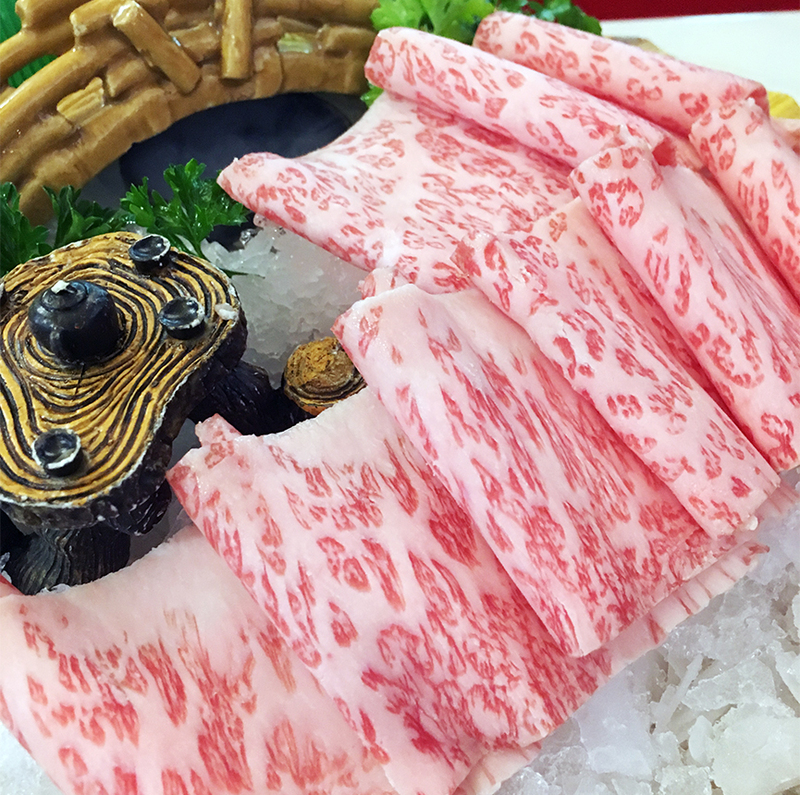 They’re smoking thousands of pork shoulders each week, drawing just as many customers for their distinctive take on barbecue and endless soul food sides. The first of three plates from Shealy’s barbecue buffet.